to highlight Indian brutalities at all forums. According to Radio Pakistan ,Masood Khan said these words during his visit to Mazar-e-Iqbal, Lahore on Saturday . A smartly turned out contingent of Pakistan Rangers presented guard of honour to him on this occasion. He laid floral wreath over the grave of great poet and philosopher and offered Fateha. 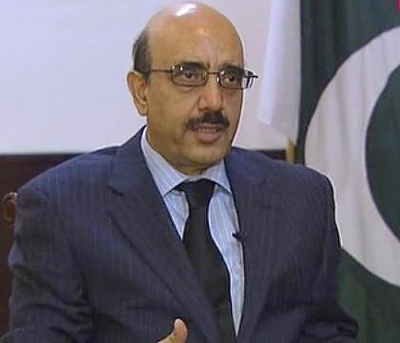 Masood Khan said Pakistan will continue highlighting brutal state oppression in Indian held Kashmir, both at the political and diplomatic level. He said that India is deliberately escalating tension on the Line of Control and purpose of Indian aggression on the LOC is to hurt CPEC.